Mini Modules Enrichment Units is a series focusing on math and language arts enrichment for use with individuals, small groups or whole class instruction. Each workbook incorporates a unit overview instructions, tips, step-by-step outlines and scaffolding, and concludes with details of objectives, concepts covered and teaching notes for each activity. In designing your own restaurant, number crunching becomes endless ... You need to calculate rental / leasing costs for a year, the cost of wages, advertising, food, furnishings, equipment etc. Don't forget the design of the restaurant too, and the need to consider area, dimensions, layout, and appeal. 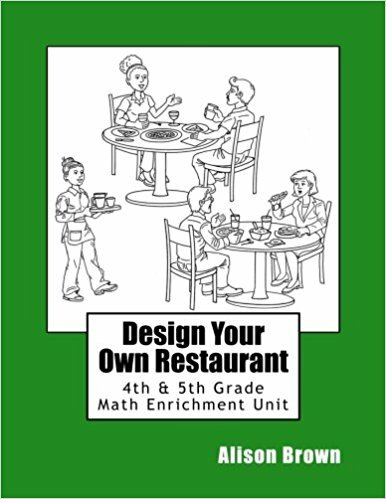 There is a lot to cover in designing your own restaurant. Whose proposal will get the seal of approval? 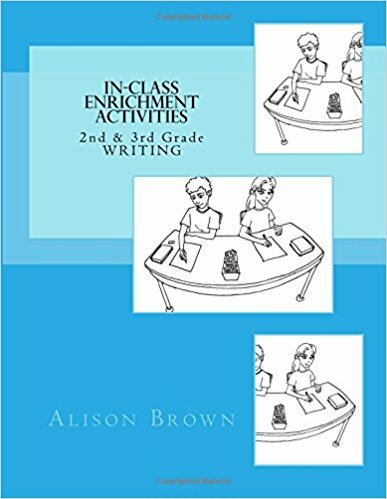 Beginning with a wide range of writing prompts, followed by specific instructions, an exemplar, and scaffolding throughout, the 2nd & 3rd Grade WRITING volume provides many opportunities for enthusiastic and capable students to enjoy and extend themselves in writing. Requiring very little, if any, teacher input, these activities serve as excellent in-class enrichment options for bright and independent learners.